This Summer, I intend to be bookishly delirious by all the lovely portals of imagination I shall be entering,.. it is also the *Summer! * I reclaim the ability to read & blog during a volcanic heat wave w/o the threat of *lightning! * derailing my bookish endeavours! 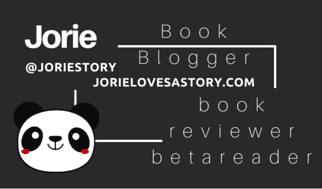 Hallo, Hallo dear hearts – ever wonder what Jorie might be getting up to reading this Summer? After a hard Spring & difficult start to Summer (ie. June) I’ve decided to focus on two reading challenges which will help me re-inspire my reading life after the recent adverse afflictions I’ve soldiered through – one is a re-attempt of the reading challenge I first blogged about during Summer  where lightning storms & unreliable connectivity derailed my best efforts to both read & blog with any kind of regularity whilst this year, I stumbled across a lovely reading challenge which brings with it components of JOY I hadn’t quite expected to find within a reading challenge! Let me break it down for you with a short Q&A I asked of the hostess which I think you might find equally delightful to know about in case your considering joining the bookish FUN this JULY by devouring INSPY Lit. as long as their Christian / INSPY or Clean – right? A: Yes. 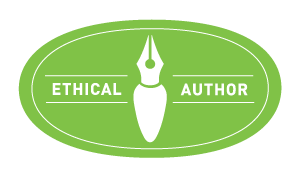 You can read and review and author of your choice as long as it’s Christian or Clean, but you do get more entries in the Reading Challenge Rafflecopter if you read a book by an author or publisher sponsor. IF we are not in the Facebook group (as I use Twitter) but we read a book on the Facebook Challenge page (on the challenge blog) OR if we read book by an author listed on that page, we enter that title into that space on the bookaway? I am off-setting my readings with audiobooks, as I am trying to curb a repeat of Spring where I had a high frequency of migraines. When you say ‘read’ a book – you are accepting some of us are reading print books *and* audiobooks? I wanted to confirm this wasn’t format specific to ONLY print or ebooks? First off, for me – more than anything, a reading challenge which INSPIRES me to re-focus on reading INSPY Lit is the best bit whilst finding readers & bloggers who share my passion for these stories is the best part of participating, as I love sharing the stories which enrich my reading hours irregardless if I’m reading INSPY or mainstream stories – however, having said that – sometimes I find it harder to find readers of #INSPY who love the same authors & stories. Thus, I am hoping to find new blogs to follow & new readers to talk to about the stories giving us #booklove throughout JULY whilst extending into convos throughout the year. I am going to be focusing on the authors on my *70 Authors* List as well as newcomers I’ve found whilst browsing through Audible’s INSPY Romance section as I was gifted a membership to Audible for my 5th Blogoversary by my parents & they added the Rom package this Summer for my birthday! Secondly, I have INSPY novels I’ve meant to read & review which have been shifted to my ‘backlogue’ which I want to highlight this July as well. The scheduled reviews I have for Clean Fiction & INSPY Lit as well as these backlogued review showcases are NOT going to count towards either the books I’ve read and/or the books I’ve reviewed for the reading challenge directly as I have an ethical conflict of interest in declaring them officially but they will be listed on this post as the stories I’m reading all the same. Some stories I am re-reading in order to continue a series as well such as the Coming Home series by Brenda S. Anderson; those won’t be counted either as technically they’ve been previously read & reviewed.